Rich has been involved in evangelization for the past thirty-three years and is currently the Director of Emmaus Journey, Catholic Small Group Ministry. 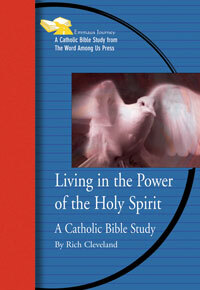 Through this ministry, Rich and his wife, Gail, have published several Scripture-based Catholic small group studies. Additionally, he publishes Reflecting on Sunday's Readings, a small group study based on the readings at Mass each Sunday. He has served in several leadership positions at Holy Apostles Parish in Colorado Springs, Colorado. Rich and his wife, Gail, have three grown children and reside in Colorado Springs, Colorado. The Emmaus Journey Bible Study series invites small faith-sharing groups to spend seven to ten weeks exploring the Scriptures and allowing God's word to more deeply penetrate their hearts. 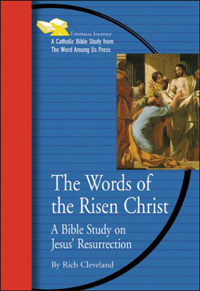 In this Emmaus Journey Bible study, popular author Rich Cleveland delves into the significance of Jesus' resurrection appearances. 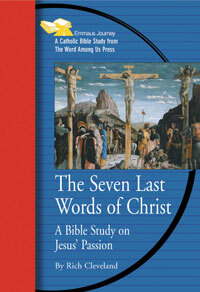 His final words, such as "Go make disciples"and "Do you love me?" set the tone for each of the eight sessions and are the launching pad to explore such themes as community, reconciliation, the power of the Holy Spirit, and the call to evangelization.